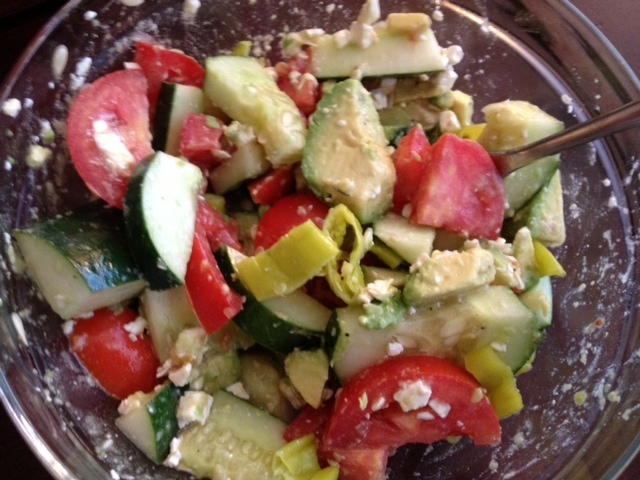 Tomato & Cucumber Salad With Avocado, Pepperoncini, & Feta. I’ve been eating this salad all summer and have yet to get sick of it! 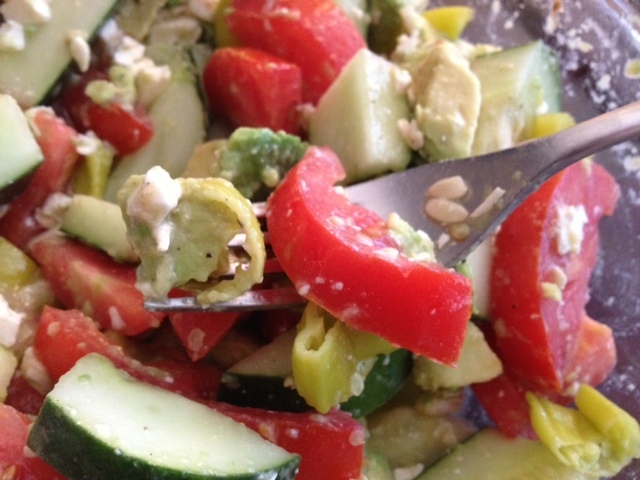 It’s filled with different textures and flavors and is everything I look for in a salad. It’s crunchy, creamy, refreshing and tangy. 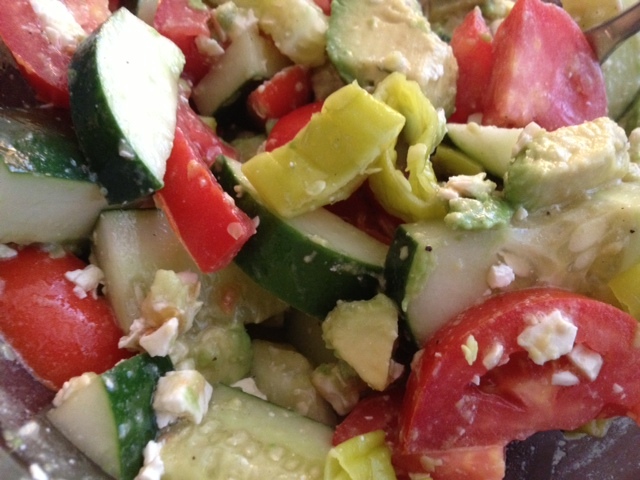 It only takes minutes to make and is a great, healthy summer meal. Combine all of the ingredients in a large mixing bowl and pour over the vinegar and olive oil. Season with a dash of salt and black pepper and toss well.